No Reservations and No Experience are necessary! 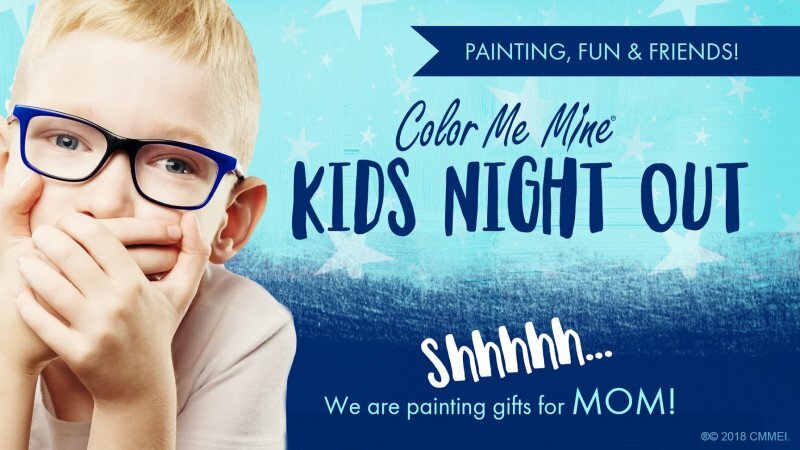 Color Me Mine is committed to providing a space for kids and adults to express their creativity, relax, have some fun and learn in a creative and pressure-free environment! Come paint a bisque piece with us! Here is a quick look at the different stages of clay so you can become an expert in no time. Starting out you have wet clay, then it is bisque fired in our distributor’s kilns. The clay piece becomes bisque which is white (from grey clay). In the studio, there are 100+ different bisque options for you to choose from. Then you get to paint, this is the fun part, with paints called under-glazes! 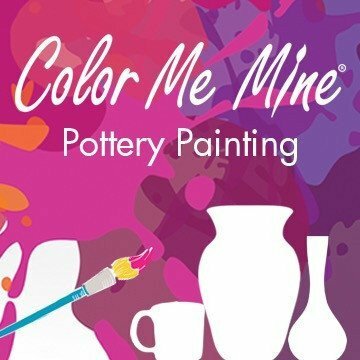 After you paint you leave it with us, Color Me Mine Team members hand dip your pieces in a clear glaze and then glaze fire your piece! This turns your white bisque piece painted with glaze into an official ceramic masterpiece. Your works of art will be wrapped and ready for you to pick up 7 days after you paint. Our pricing is a $7 studio Fee plus the price of pottery. Your Studio Fee is good for all day, includes your Glaze and Firing Fee, and unlimited colors to paint with. Bisque pieces start at $10, with the average piece around $15 to 20. Picking out what to paint is the hardest part! Stay as long as you like, no time limits (except that we will kick you out at closing). We also have the Design Center with many different techniques that we can teach YOU, and we have amazing Studio Technicians who are ready to help you create a masterpiece of your own! Our studio is open for Walk-Ins Mon-Sat 11am-8:30pm and Sun 11pm-6pm. We take our last Painters 30 mins to 1 hour before closing time each day. WE DO NOT FIRE OR ALLOW OUTSIDE PIECES IN OUR STUDIO OR KILN! 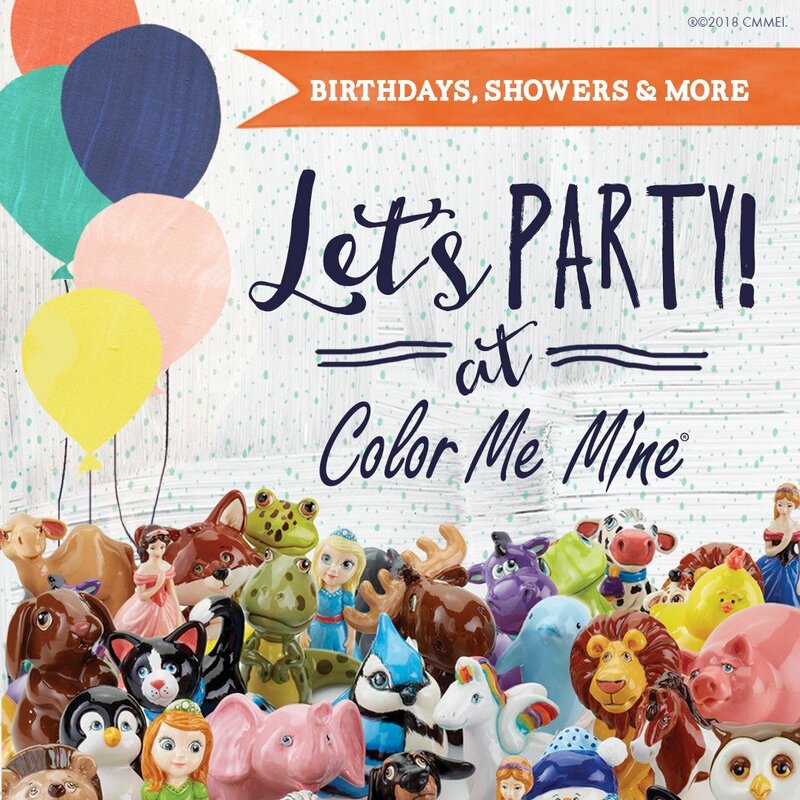 (WE ONLY ACCEPT PIECES PURCHASED AT A COLOR ME MINE STUDIO !) WEEKLY SPECIALS: Thu • LADIES NIGHT: 5-8:30pm, $5 studio fee (with $20 purchase) & BYOB Sat • Pajama Night 5-8:30pm, $1 studio fees (with ceramic purchase ONLY!) ?